Laura Heller as been covering retail, consumer trends and technology for more than two decades. 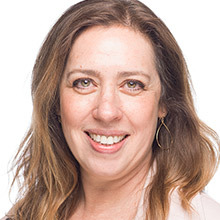 She most recently was the Editor of Retail Dive and FierceRetail, and has been reporting on mass-market retail trends and initiatives since 1995 as a reporter for B2B magazines, business outlets and websites including Forbes and The Week. She has appeared on national TV and radio programs discussing retail trends including CNBC, ABC News Now and National Public Radio. Her blog–“The Point of Purchase”-appears on Forbes.com. Laura currently serves as Director of External Communications at Performics, where she continues to study consumer behavior and how shoppers interact with brands through technology.